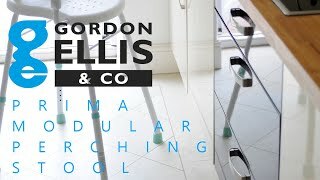 The sloping seat of the perching stool allows the user to user to rise easily; the frame is designed to be lower at the front. 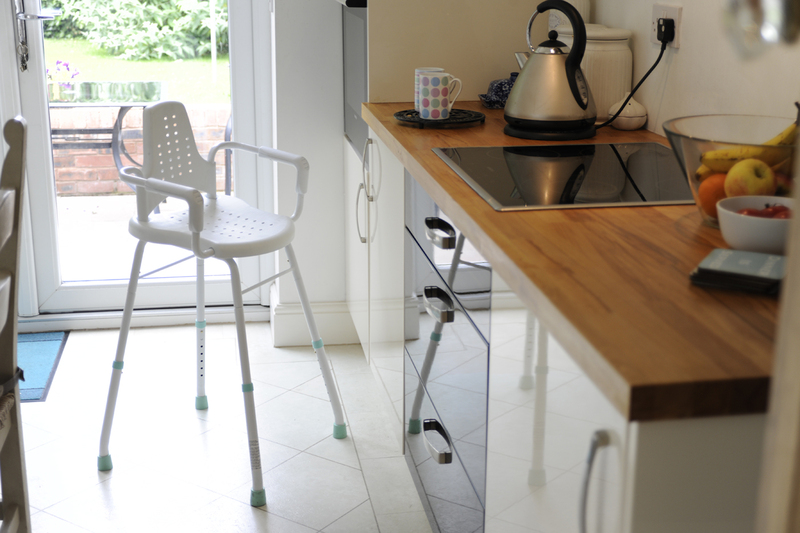 The legs are height adjustable to ensure the user can set the stool at a level suitable for their needs. 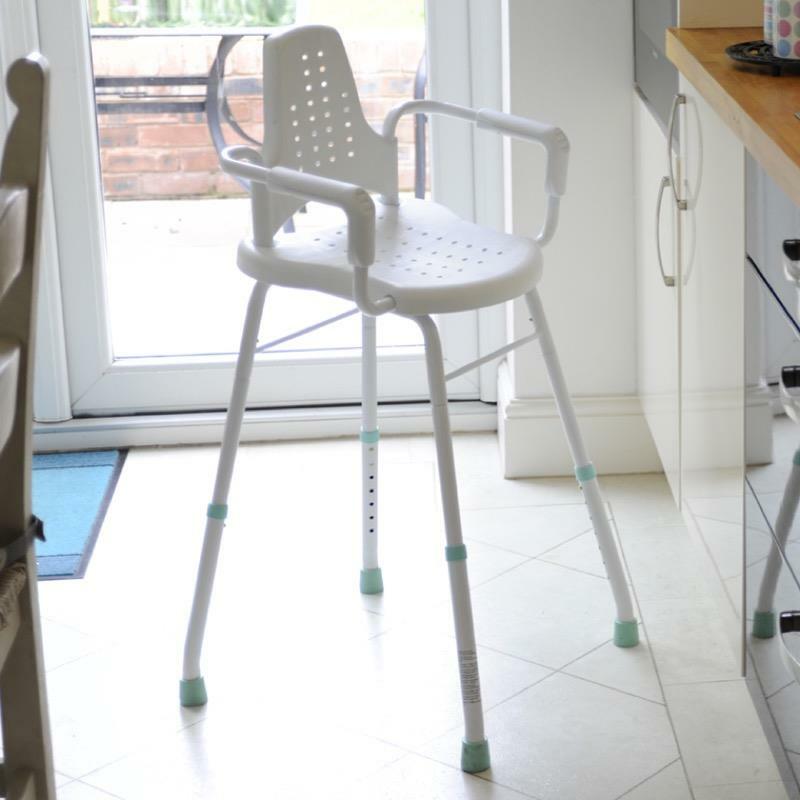 The seat is a made of hygienic moulded plastic and the legs are fitted with rubber ferrules or feet to give grip and prevent movement on floor surfaces. The aluminium construction is lightweight and non-corroding. This version has arms and a backrest for additional security and support.